Prevent endpoint attacks. Strike fast to resolve. Business impacts related to cyberattacks and information security breaches cost organizations up to $5 million per attack. To mitigate these risks, organizations must focus on endpoints where potentially sensitive data could be downloaded or consumed. 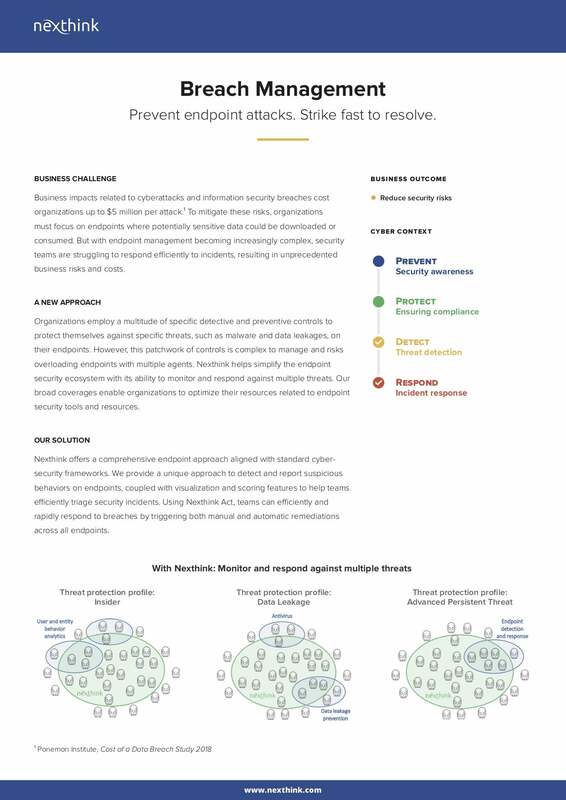 But with endpoint management becoming increasingly complex, security teams are struggling to respond efficiently to incidents, resulting in unprecedented business risks and costs.